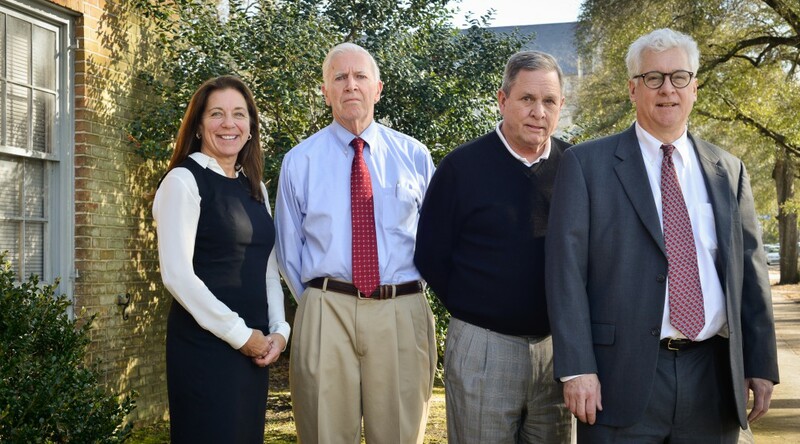 Talmage Jones, Bill Lynch, Jim Snow and Patti Jenkins are the core of our Business Law Practice Group. When necessary, the business litigation skills of David Nash and Anna Averitt are available. At the business formation stage, the attorneys in our Business Law Practice Group form corporations, limited liability companies, limited partnerships, business trusts, professional corporations and professional limited liability companies, and prepare assumed name certificates for new businesses, and advise clients regarding trademark registration for new and existing businesses. Choice of entity options and the relative advantages of incorporation or the formation of a limited liability company (LLC) are explored with clients by the Business Law Practice Group. Services available include shareholders’ agreements for businesses organized as corporations, which may include buy-sell agreements and restrictions on transfer of shares, and operating agreements and amendments to operating agreements or stand-alone members’ agreements with buy-sell provisions and restrictions on transfer of ownership interests (membership interests), for businesses organized as limited liability companies. These services may be in connection with an existing business that began less formally but has achieved success and needs to become more structured to better protect the assets of its owners and allow for expansion of the business, or may be in anticipation of start-up of a new business, acquisition of a new asset such as a commercial building, or in anticipation of the acquisition of another business through the purchase of its assets, including preparation or negotiation of an asset purchase agreement, or through the purchase of its securities, whether in the form of shares of stock of issued by a target corporation or ownership interest (membership interest) issued by a target limited liability company. Ongoing business law services offered by our Business Law Practice Group include leasing, contracts, employment agreements, independent contracting for services agreements, and dealership and franchising arrangements. Whether your need is a new start-up, formalization of existing operations, or an asset purchase or other form of merger and acquisition, the attorneys at Hogue Hill are available to assist with your business law needs.